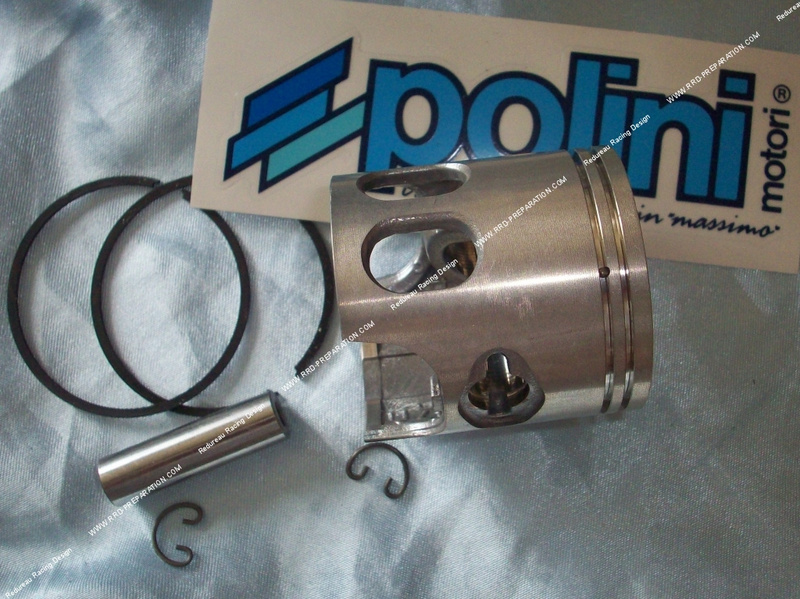 POLINI piston of diameter 47mm for kit 70cc normal cast iron POLINI (not to be mounted on kit polini corsa / racing ...) For minarelli horizontal or vertical motor, in bi-segment normal d.47mmX1mm. Supplied with crab piston clips, 10mm axle, 2segments and reinforced piston. Available in d.47mm for normal kit and d.47,4mm to choose for kit reamed for cause of preparation or repair.